October always finds me in the midst of a serious pumpkin binge. I’m one of those people, the pumpkin obsessed. This year, of course, has been no different, and while I’ve already eaten plenty of tasty pumpkin treats, my favorite, by far, is unfortunately almost 3,000 miles away. 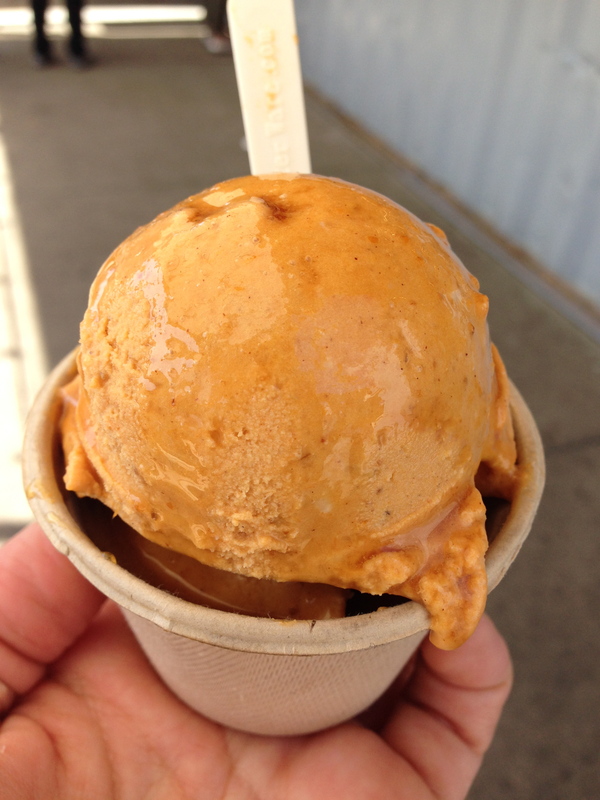 It was during my days in San Francisco that I ate the most delicious ice cream to maybe have ever landed in my mouth, the maple brown sugar squash ice cream at Smitten Ice Cream in Hayes Valley. 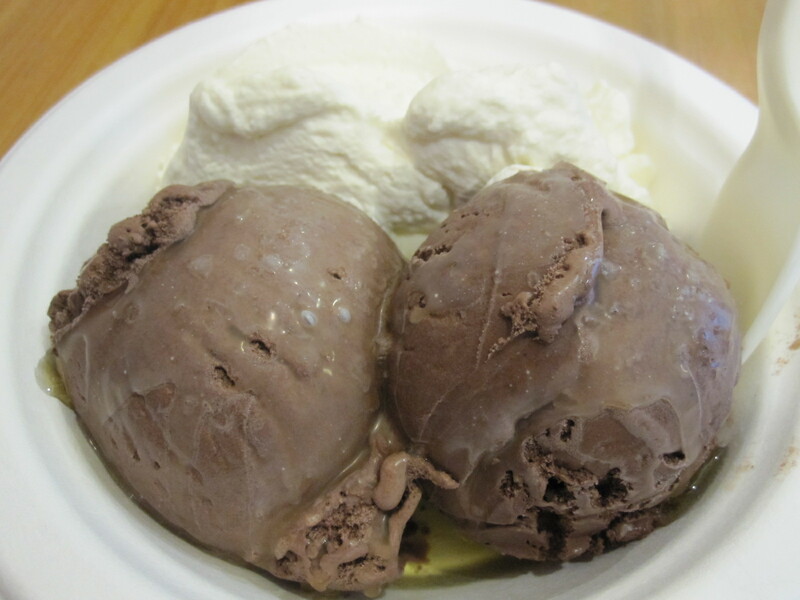 All of Smitten’s ice creams are made to order on the spot using liquid nitrogen to freeze the ingredients at crazy low temperatures super fast. In this case, the ingredients were pumpkin, milk, molasses, cinnamon, cardamom, brown sugar, nutmeg and ginger. If you want the whole scientific breakdown, better read this than try and get a proper explanation from me. What I can tell you, however, is that this ice cream is phenomenal. Thick and deliciously creamy, with all the spicy warmth of pumpkin pie spices, this was the ice cream version of the best imaginable pumpkin pie. It’s a seasonal ice cream but all kidding aside, I could eat this year round, every day actually. Even though I was born in Costa Rica and raised in Miami, mine wasn’t the typical Hispanic household. (My dad, a crotchety old Italian-American, is to blame for this.) We never salsa danced, celebrated Noche Buena, or had abuelitos and dozens of assorted family members. But if there’s one stereotype we absolutely perpetuated, it’s eating sweet plantains, or platanos maduros as my mom calls them. They’re usually a side dish, served alongside rice and beans as I most frequently had them growing up, but really I could eat a whole mountain of plantains just on their own, I love them so much. So recently, during my visit to San Francisco, when I saw a burrito at The Little Chihuahua that was stuffed with plantains instead of meat, I HAD to have it. 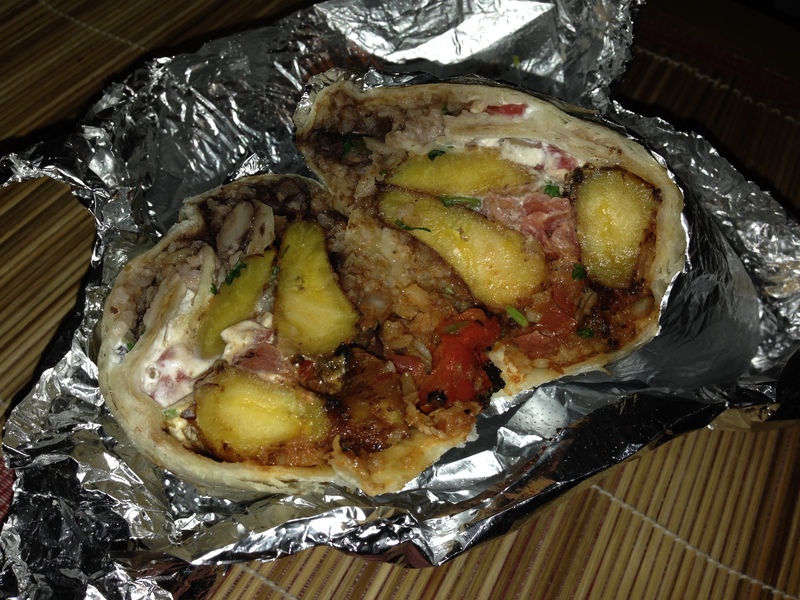 The Little Chihuahua’s plantain burrito is first of all, anything but little. It’s a hold-it-with-two-hands heavy affair of sweet fried plantains, black beans and rice, pico de gallo, roasted red peppers, sour cream, cheese, salsa, cilantro and onion. And as I thought it might be, this burrito was freakin’ delicious. The plantains added a nice sweet flavor to the otherwise savory, zesty, spicier flavors and a soft, almost creamy consistency. As a lifelong plantains lover, I would order this kind of burrito every time if places other than The Little Chihuahua had it. Add a plantain burrito to my long list of reasons for loving San Francisco. Thanks for the memories, San Francisco! It seems like literally just yesterday that I was boarding a plane for the West Coast, heading out to California for the first time to start new adventures and make new friends and eat my way through a whole new city. Almost three months later, here I am back in New York. I had my adventures, I made my great new friends, and I had many a good meal. But now it’s back to life (and eating) on the East Coast. Before I dive back into the New York food world, however, I’d like to take a moment to pay homage to one of the best meals of my San Francisco days. One of my coworker/friends used to always rant and rave about Foreign Cinema in the Mission. Her whole face lit up and her eyes sparkled when she talked about it. So when she asked if I wanted to go with her and another coworker/friend, I said yes right away. Everything on the menu sounded fantastic, the type of food you might call California/American nouveau (i.e. a little bit of everything hence the American part, and made with fresh, locally farmed ingredients, hence the California part). I don’t usually order salads before dinner (I either get an appetizer or just get straight down to business) but a salad on the menu sparked my interest. 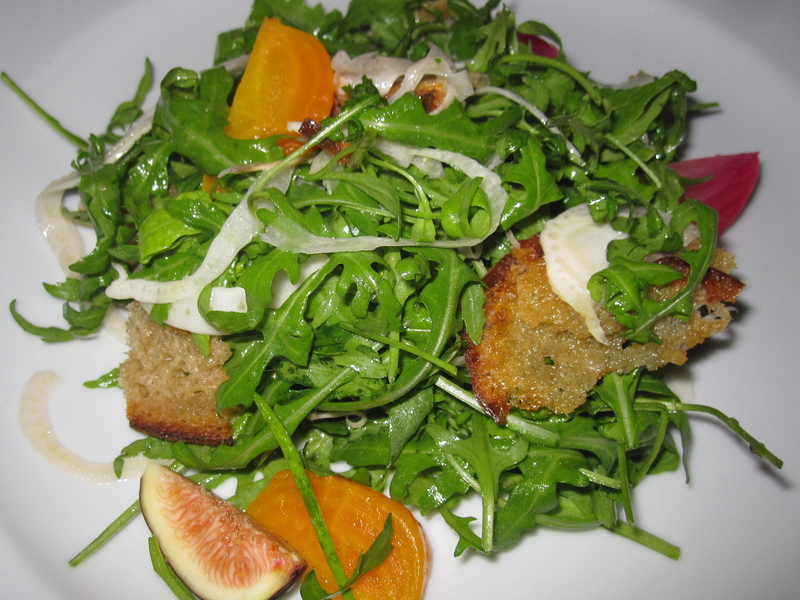 Wild arugula, roquefort toasts, beets, shaved fennel, and black mission figs. (I was sold when I read figs.) The slight bitterness of the arugula (which I always prefer to lettuce) was a nice complement to the sweetness of the beets and figs, and the crispy crunch of the toasts made everything just perfect. But the star of this show was definitely my entree: orecchiette pasta with wild lobster mushrooms, bloomsdale spinach, walla walla onion and garlic chili. I had seen lobster mushrooms earlier during my time in San Fran but never tasted them so when I saw them on the menu, I was intrigued. It was a creamy, almost buttery dish, with an overall smooth, texture but with a slight crunch perhaps from the crispy edges of the lobster mushroom. The garlic chili gave it a nice warmth without being overpowering and the onion gave it the perfect sweetness to play off of that. 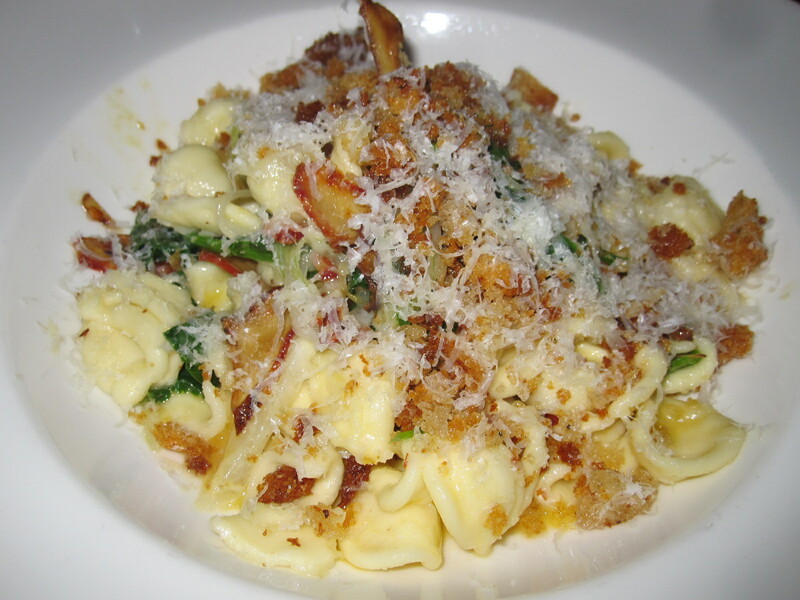 It really was one of the most delicious pasta dishes I’ve had… and that’s including my recent trip to Italy! Later when I got home I googled lobster mushrooms and found out they’re not even technically mushrooms, but instead a type of parasite that grows on mushrooms and turns them into the bright red-orange, gnarled things that I saw at the market. Who knew parasites could be so delicious? And it wasn’t just the food that was great, either. Outside in a walled-in area they were playing a movie (the Bob Dylan inspired I’m Not There) projected on to a blank wall with speakers set up next to each table like at a drive-in movie theatre. Great food, cool setting, fantastic company… San Francisco, just how I want to remember it. Ok, maybe not that dramatic. But that’s how I’m going to react from now on when I speak to people who haven’t been there. I finally got around to checking it out last weekend and well, it was fantastic. It was beyond fantastic. It was the stuff dreams are made of. My dreams anyway. 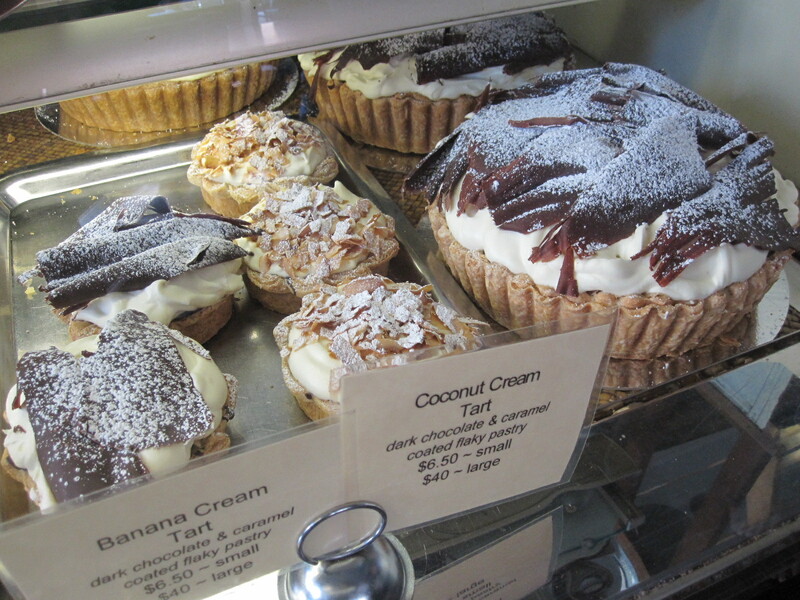 The first time I went to Liguria Bakery in North Beach was during my first week in the city. The sign hanging in the window read “We will be closed for vacation from Aug. 2nd thru (sic) Aug. 22nd.” Well, how very Italian of them, I thought. Taking almost the entire month off. Must be nice. I came back after August 22nd, and it was closed again. They close at noon. It was 12:25. So I came back again another day, not sure what time it was but it was probably around 11:30 or so because I distinctly remember giving myself enough time to be there before noon. Closed again. This time because they sold out and went home for the day. These people are really making me work for this damn focaccia, aren’t they? I thought to myself. I’m gonna come back one more time, and if they’re still not open, I’m never coming back ever again. 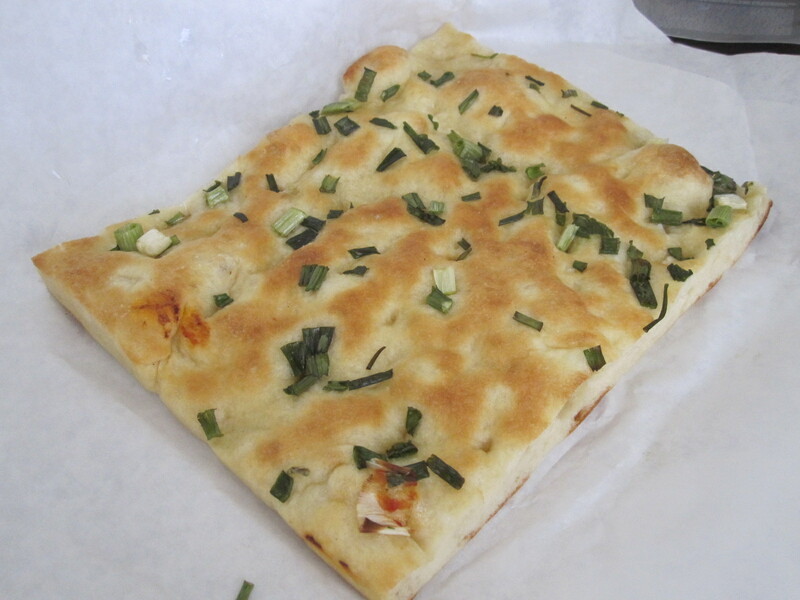 Screw their focaccia. This weekend it was actually warm in San Francisco. Like leave-the-scarf-at-home, get-down-to-just-one-layer and wear-your-sandals-without-fear-of-your-toes-going-numb type warm. This of course, means nothing to most of you. The whole handful of you who read this blog have probably been dealing with hot weather all summer (or if you’re in Florida… practically year round) and are now welcoming fall with open arms, but in San Francisco, at least since I got here during the first week of August (August!! ), it’s been downright chilly. Not in the 70’s like I had thought it would be, but in the low 60’s and then 50’s at night. Now, I’m not complaining. If you know me well, you know I hate the heat. I could just as easily do away with summer and never miss it, but it’s been strange being cold during summer. 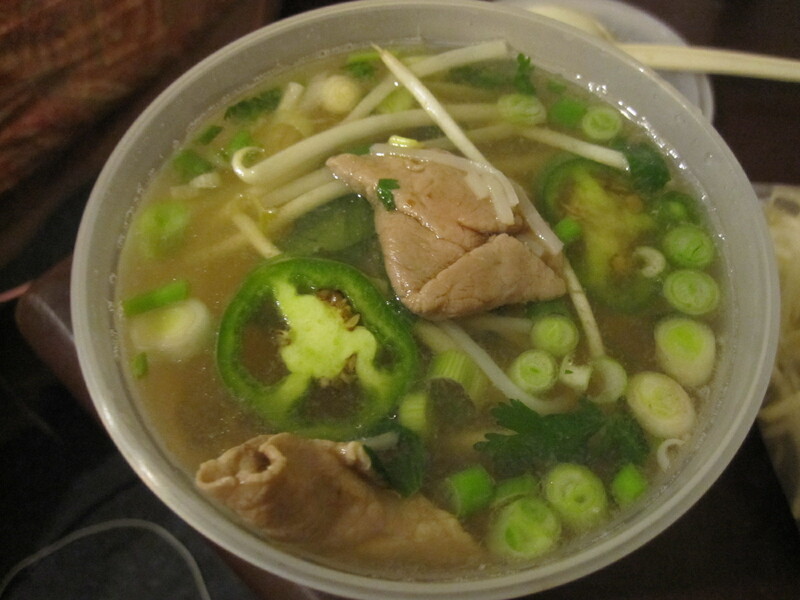 Move over chicken noodle, this is MY cure for a cold! I started to feel it Thursday, the watery eyes, the slight tickle in my throat, those familiar symptoms that could only mean one thing. Then Friday it was officially there: a cold. Saturday, though, I managed to take it one step farther. I woke up with a cold and a hangover. And I had to work. Needless to say, it was a very long day, full of coughing fits, dozens of balled up tissues, and maybe about 25,000 sneezes.